Ralph Ellis looks at Sir Andy Murray's decision to withdraw from Wimbledon and whether the former World Number One can ever hit the heights again. "He’s already changing his training routine to work on hard courts ready for the US Open. But would you back him at [10.0] to be the winner at Flushing Meadows? No, me neither." It was only on Saturday that Sir Andy Murray was sitting in front of a room full of reporters at Wimbledon talking optimistically about how he was ready to play, and compete. He was in good spirits. When at the same time as he was talking you could hear loud noises off from France's spectacular World Cup win over Argentina, he asked if we all fancied pausing his press conference until the football was over. It made great, optimistic copy for the Sunday papers, and even if we knew deep down that he might struggle to handle two weeks of five-set matches it was good to think that the man who has been the star of the show in SW19 for the last 10 years would be there again. Yesterday afternoon came the news that he'd changed his mind. This morning that is followed by the grim reality of the thought that, sadly, the Murray years may be over altogether. He says not. 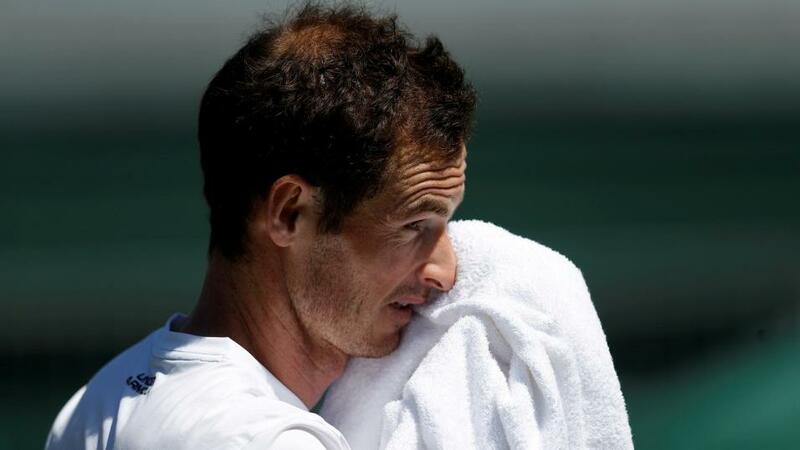 He says the decision to withdraw from Wimbledon has been made in the interests of the long term of his career. He says he wants to compete again at the top level and that the desire to win more Grand Slams still burns. He'll start by altering his schedule to play in hard court tournaments. He's already changing his training routine to work on hard courts ready for the US Open. But would you back him at [10.0] to be the winner at Flushing Meadows? No, me neither. I'd far sooner take the rapidly improving Alexander Zverev at the same price. What tells you a great deal about what the future holds for Murray are his comments to the BBC's website about how he plans to revive and then prolong his career. "I will try to look after my body better," he says. "I will certainly not be having any ends to the season like I did in 2016 when I was playing and winning every single week and not stopping for a break. "I will be working hard but not killing my body in training blocks either. Providing I am smart with those things I believe I will be able to compete." Great in theory, but in practice the best spells of Murray's career have come when he's been able to do all that hard work. It's an environment he has thrived in, and I'm not sure how well he'd respond to the sort of slower approach he's talking about. I thought back in January, when Murray stepped away from the Australian Open and announced he'd have surgery on his debilitating hip injury, that he might be tempted to retire. Fair play to him for his determination to carry on, but I fear he might be chasing an impossible dream. Yes, he has magic hands and an instinctive touch around the net which has always set him apart from his rivals. But so much of his game is also based on sheer determination and fitness, not being afraid of long rallies and to always make his opponent hit one more ball. That simply doesn't work if you don't have the fitness and stamina levels to back it up. I fear this might turn out to be the day that we've not only lost Murray from Wimbledon, but from top tennis altogether.